As per the new prescribed pattern of NEET SS examination, 40% of the questions will be from General Surgery and the remaining 60% will be from the respective superspecialty course selected. 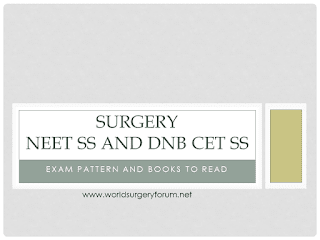 Since superspecialty portion now forms a larger part of the exam, it would require a separate preparation from separate books. 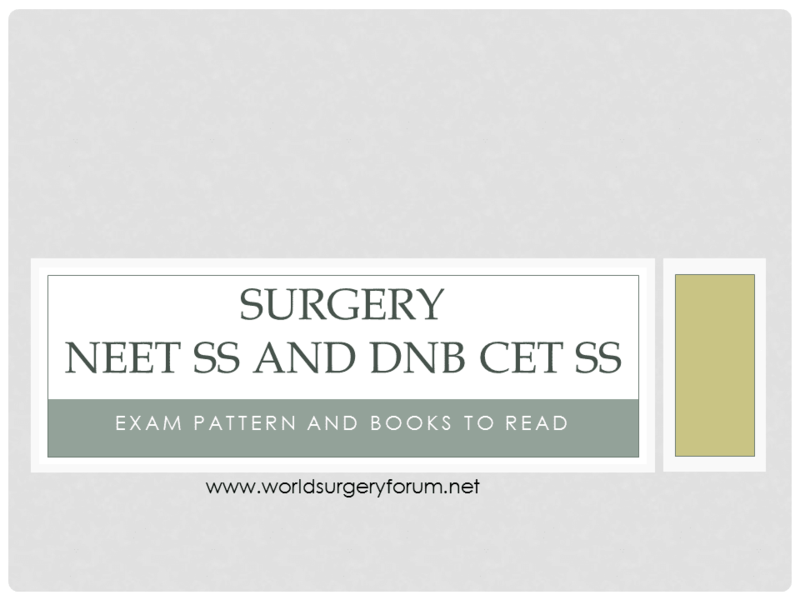 World Surgery Forum brings to you the list of books on Oncology which can be used for your NEET SS preparation. Please give your feedback or comments regarding any other better books available. "DeVita, Hellman, and Rosenberg's Cancer: Principles & Practice of Oncology, 10th edition has garnered universal acclaim as the world's definitive, standard-setting oncology reference. This is the best book for oncology concepts. This edition has all the latest advances with brand-new chapters on Hallmarks of Cancer, Molecular Methods in Cancer, Oncogenic Viruses, Cancer Screening, and new sections on Genetic testing and counseling for cancer, plus comprehensive updates throughout - including coverage of the newest biologic therapies." "This comprehensive review book closely follows the contents of DeVita, Hellman, and Rosenberg's Cancer: Principles and Practice of Oncology, 10th Edition, including brand-new, state-of-the-art topics. Hundreds of multiple choice and case-based questions cover medical, radiation, and surgical oncology, as well as hematology, diagnosis and staging, molecular biology, immunotherapy, targeted therapy, and more. The questions are also available online in an interactive format, allowing you to study and review anytime, anywhere!All questions have been completely revised to mimic the common formats you'll see on the exam.Detailed answers with explanations are provided for every question, helping you understand the "how" and "why" behind each correct response.Content reflects the most current information from the leading oncology text, with corresponding chapters to DeVita, Hellman, and Rosenberg's Cancer: Principles and Practice of Oncology, 10th Edition provided for further review." "This book was specifically written keeping in mind pattern of Mch Oncology entrance. The questions had been solved by oncological experts of India from reputed institutes. For controversial questions every attempt has been made to trace the source and solve the questions." "This book has been written with the aim to outline the major areas of Oncology i.e Factual data, Commonest cause, Basic concepts and Recent advances. This book is not merely an addition to the existing list of books on MCQ's but a sincere ambition and an honest attempt to make it a useful and practical companion to both medical graduates and postgraduates. The present book consists of original solved MCQ's from the Question Banks of various important examinations (AIIMS, Delhi, PGI, All India etc. ), Important text and original solved MCQ's have also been added."